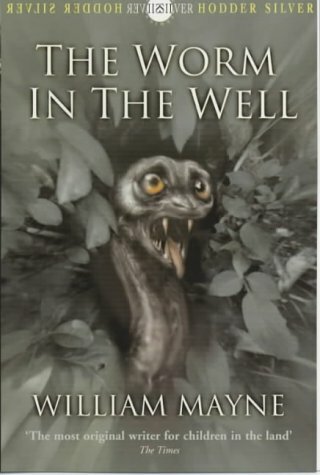 It might be just a retelling of the Lambton Worm story but this is Mayne as storyteller trickster, mixing tales and styles with his wonderful ability to conjure up otherness through language which is the equivalent of the visual illusion. At its simplest it is about Robin and Meric, the sons of local lords. They go fishing and, in disobeying the witch, Granny Shaftoe, unleash events which start with Meric's disappearance and the finding of the baby Margaret. Robin tells the stories of all this to Alan, his son, and Margaret who themselves go fishing. Alan is told by Granny Shaftoe to keep whatever he catches but, when faced by the monster on his line, cannot do it and, this time, Margaret disappears. Alan joins the crusade, like Robin and Meric before him, and returns to find that the monster has destroyed his home and all around it. He has to do the right thing. The story is unexpectedly very funny often darkly so, particularly in the devouring of the worm's victims and the seediness of the crusade, and so well written that shape-shifting is part of the fabric of the language. A folk-tale fuelled with life.